A few weeks ago, Facebook announced a feature that allows users to know how much time they spend on the app. This came after Instagram also implemented the feature in its app. 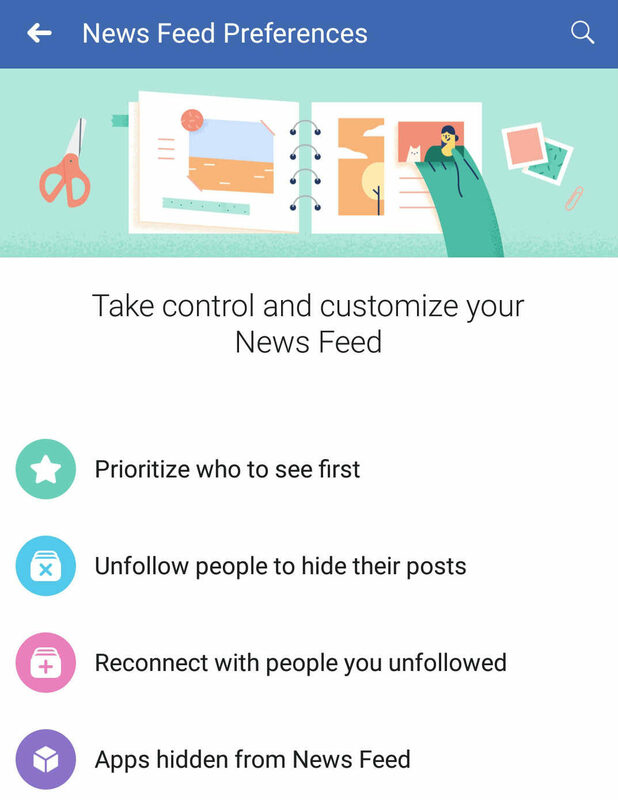 This feature according to Facebook is meant to help fight people’s addiction to Facebook and other social media platforms. 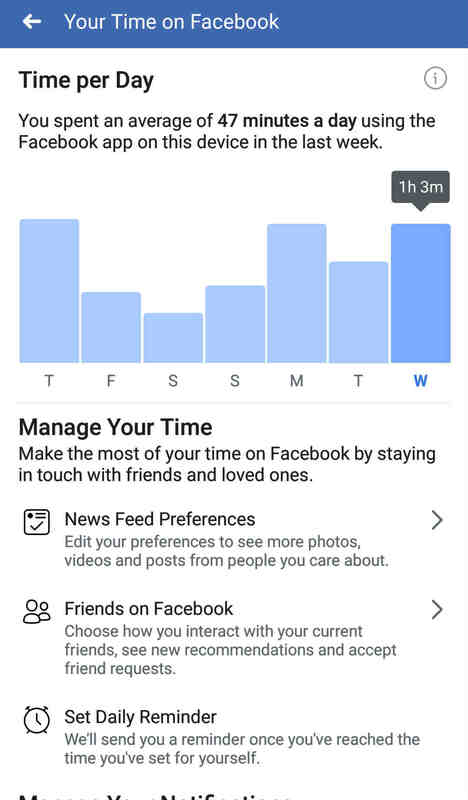 The ‘Your Time On Facebook’ feature tracks and tells you how much time you spend on the platform daily. There are also other features in place to help you reduce the amount of time you spend on Facebook which I will be telling you about soon. Follow the steps below to know how to use the ‘Your Time On Facebook’ feature to its fullest. 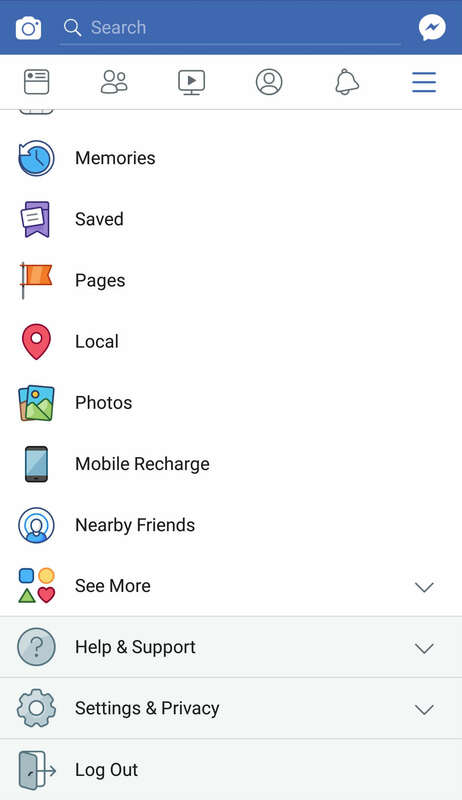 The first step is to open your Facebook app and tap on the hamburger menu at the top right corner. Scroll down a little and click on the Settings and Privacy option. On the third position lies the new ‘Your Time On Facebook’ feature. Just tap on it to get started. The new setting has the average time spent on the app in the past seven days listed on the top. This is followed by a bar graph which has the data for the week. 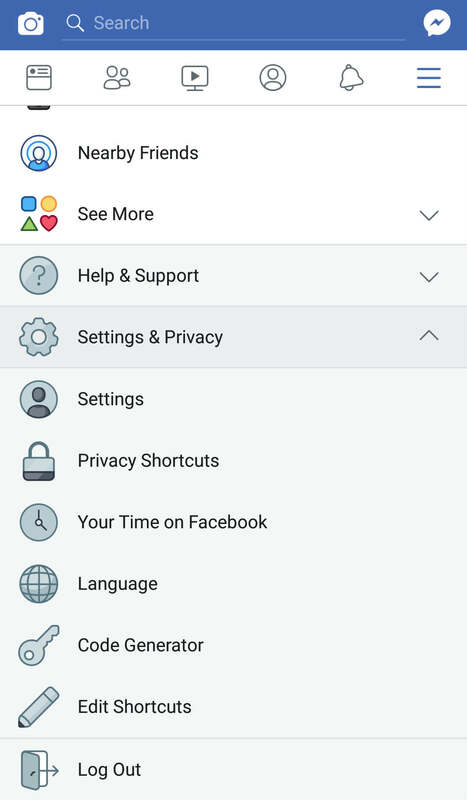 As we head down the page, the time spent on Facebook calculator has News Feed and Friends shortcuts for you to set the required settings from the ‘Your Time On Facebook’ section itself. 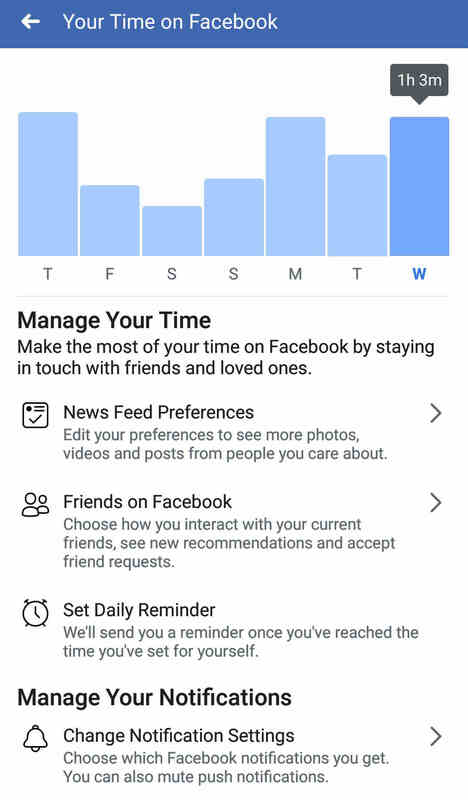 Another option is the Set Daily Reminder which allows you to set daily timers to notify you when you exceed the average time spent on Facebook. 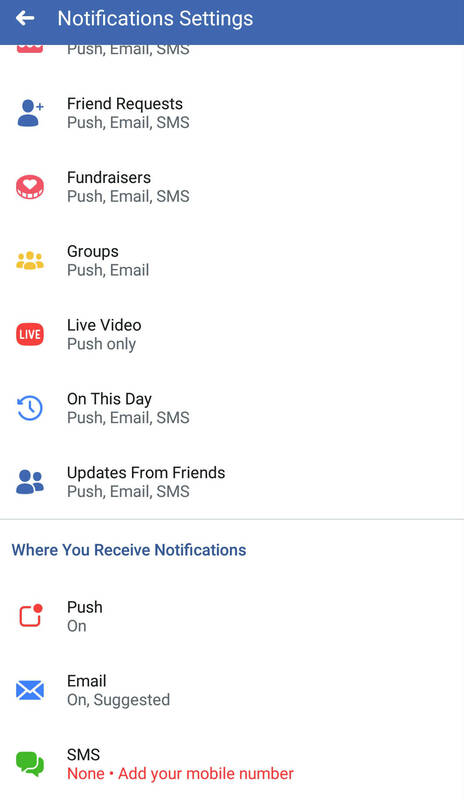 Lastly, the tool provides you with the Manage Your Notifications option which will let you opt for the Facebook notifications you want to receive. 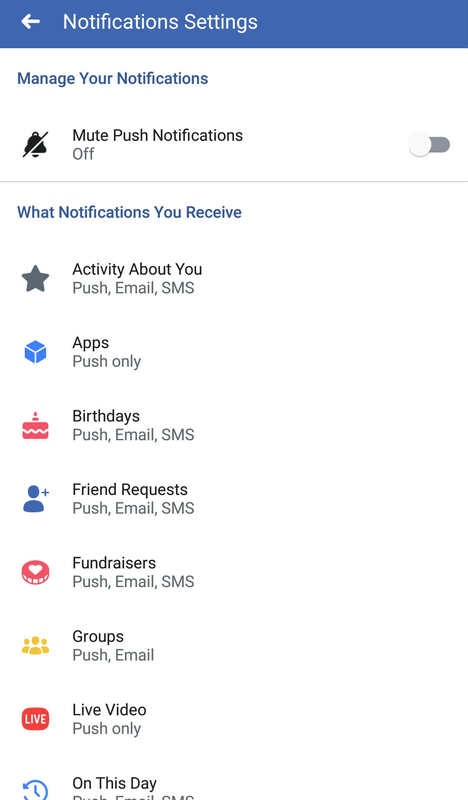 Additionally, there is an option to mute notifications if you don’t want Facebook to bother you for a while. That’s how to check the amount of time you spend on Facebook. I hope it will help you curb your Facebook addiction.